Charlie Howard, gentleman thief and famous crime-writer, has gone straight. But holing himself up in a crumbling palazzo in Venice in an attempt to concentrate on his next novel hasn’t got rid of the itch in his fingers. And to make matters worse, a striking Italian beauty has just broken into his apartment and made off with his most prized possession, leaving a puzzling calling card in its place. It looks as though kicking the habit of a lifetime will be much more of a challenge than Charlie thought. Sneaking out into Venice’s maze of murky canals, Charlie’s attempts to tame a cat burglar embroil him in a plot that is far bigger and more explosive than he could ever have imagined. 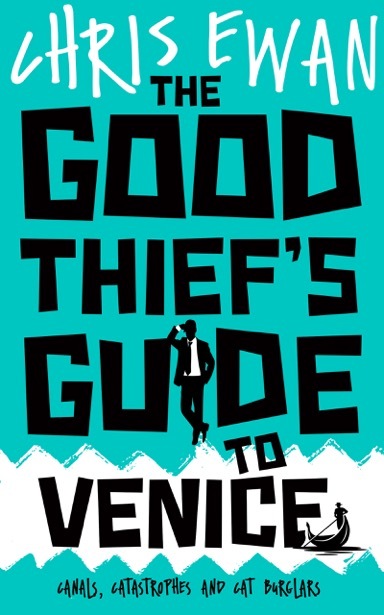 Let me start off with this – I’ve been a huge fan of Chris Ewans’s ‘Good Thief’s Guide to…’ books since the very first. So I jumped at the chance to read Venice and write up something for the relaunch of the series in their snazzy new covers! Charlie Howard is a thief, and a darn good one at that. He’s had a number of adventures, from <a href=”http://amzn.to/2svMQQF”(hijinks involving stolen monkey figurines and a damsel in distress), to Paris (oil painting hijinks) and Vegas (more hijinks involving magic, a dead redhead and a casino heist). He’s also an author, writing a series of suspense novels about a gentleman thief called Michael Faulks. Who better to write a thief than another thief? The books are sheer, glorious fun. Charlie Howard is a fantastic character with a nice line in inner monologue to go with his safe-cracking, lock-picking and general hijink-having abilities! In Venice, Charlie has taken a bit of time off from nicking stuff to concentrate on his latest novel in Venice. Holed up with his erstwhile editor and friend Victoria, all is going well until a stunning catburglar breaks in and steals his beloved (though stolen, of course) good luck charm – a signed first edition of The Maltese Falcon. Hijinks ensue, naturally, as Charlie is forced to put his writing plans on hold whilst he goes on the hunt for his missing book. And just who is that mysterious woman…? 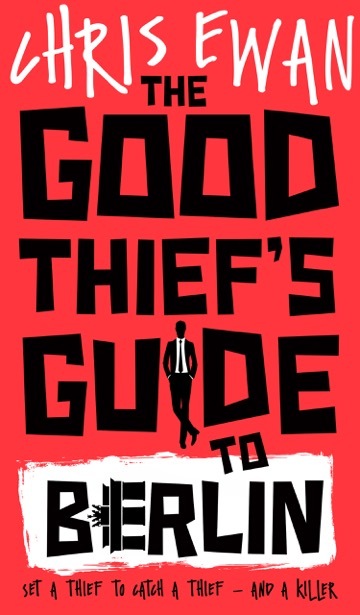 Enormous fun – if you’re looking for a witty, fast-paced, high-concept, high-action thriller, then Mr Ewan is your man, and his ‘Good Thief’s Guide’ books should be on your list. And they’ve got some lovely new covers too! They’re available individually, or you can pick up the set on kindle here. Charlie Howard, part-time writer, part-time thief, has been engaged in a veritable spree of larceny and misappropriation since moving to Berlin, Germany. He’s supposed to be working on his next novel. But high rent and a love for thrill-seeking has been hard on his word count. But Charlie’s larcenous binge is interrupted by the call to duty—on behalf of Her Majesty’s Government. Four embassy employees are suspected of stealing a sensitive item. Charlie is to break into their homes, find the culprit and recover the stolen property. But there’s a catch. The item is so sensitive, Charlie isn’t told what he’s looking for. Not its size, not its weight, nothing. He’s only told that he’ll recognize it when he sees it.